I first read On the Road by Jack Kerouac when I was 15, on vacation with my parents at an all-inclusive resort in Mexico. Those who know this novel, know that my setting was not exactly ideal. Kerouac’s novel depicts the height of the beat generation, a time when bored, artistic, poor, and dreaming youth took to the open road, refusing materialism and embracing nonconformity. Lounging poolside with a plate of oysters, piña-colada in one hand and On the Road in the other, forced me to put my life into perspective. The reader is introduced to friends, Sal Paradise and Dean Moriarty. Sal is a young writer, on the road in search for anything and everything. Dean is the typical beatnik carrying a rucksack containing his every possession and an excitement for life’s journey. The two characters travel together through 1950s America and Mexico, exploring the world of art, literature, and jazz. Along their travels, the duo encounters other leading figures of the generation, such as William S. Burroughs, author of Naked Lunch, and Allen Ginsberg, author of Howl. From hopping freight trains to copious amounts of drinking at all-night jazz clubs, Sal and Dean experience everything, seeing just how far they can push the American Dream. This generation introduced a new form of rebellion, breaking down the doors of establishment and grasping onto personal freedom. 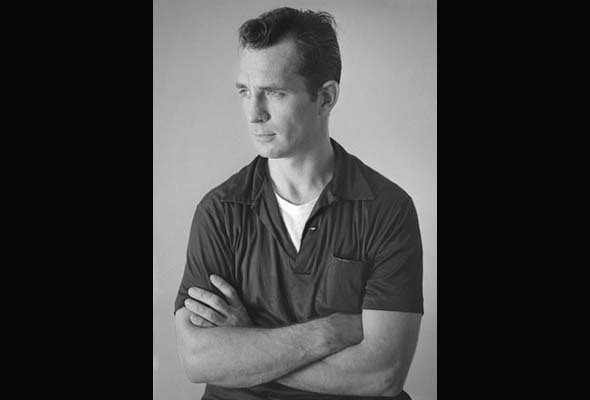 With the release of the novel in 1957, Kerouac became one of the pioneers of the beat generation, inspiring many to break free and take as much from life as possible. His writing style, critiqued as “stream of consciousness,” encompasses the spirit and sounds of the roads he traveled. Jack Kerouac’s novel depicts a journey of excitement and spontaneity, providing a glimpse into a generation when the world was a playground and all that mattered was the present. This novel is a must-read for anyone looking to synchronize, or syncopate, with their inner Beat. Be the first to comment on "Kerouac’s On the Road: Revisiting a Beatnik classic"